On the final leg of my Japan travel diary, I will be taking you on the journey my family and I went on in the beautiful and cultural city of Kyoto. 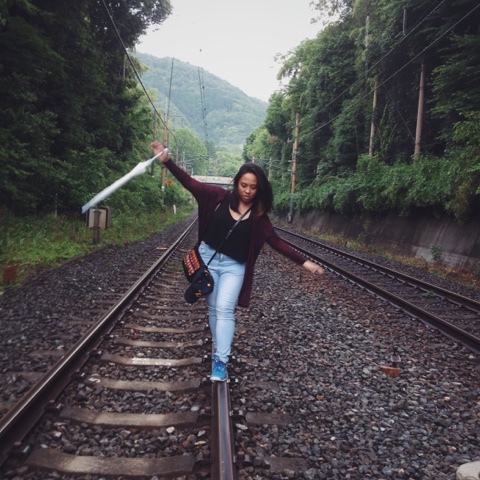 Among all the cities that we went to, Kyoto was the best for me. 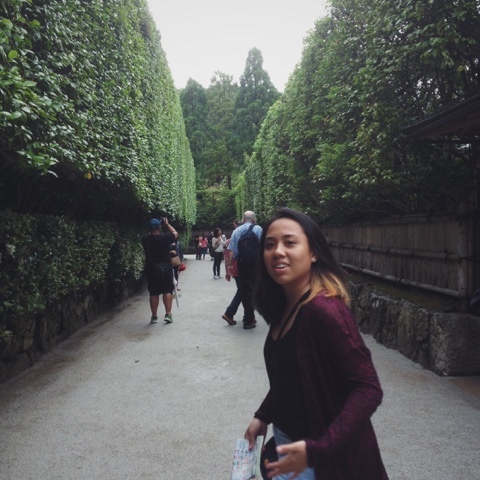 The city, I felt, had the perfect balance of modern and traditional Japanese culture, which I thought was really amazing. Also, it was incredible to see and experience all the scenic spots via the very organized transportation system—a really nice experience, compared to the messy and competitive transportation we have back home. 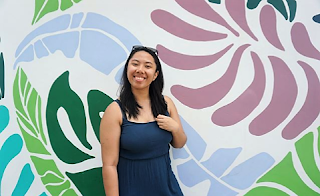 Of course, it is unavoidable to get lost, especially if you are a tourist, but hey, you learn a lot more about a country’s culture when you get lost in it. 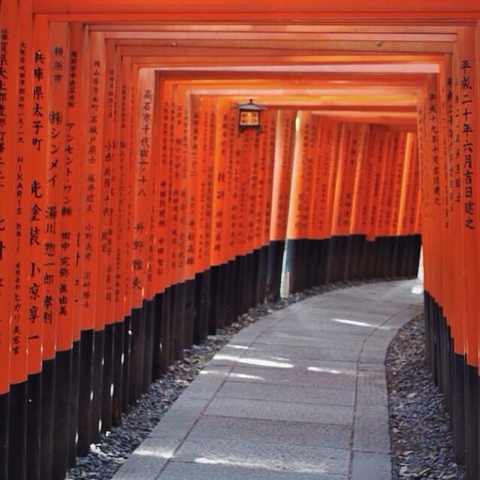 The architecture of the shrine and the whole compound of Fushimi-Inari is so beautifully Japanese. It’s one of those places that you expect to see when you’re in Japan; and when you do see it, it seems a little surreal because, in a city already built on modernism, you find this piece of history and tradition that’s so well preserved. It’s amazing. Travel tip: There’s going to be a lot of walking when you’re here. Luckily, if ever you feel thirsty or hungry, you can find some food stalls and random vending machines just outside the walkway towards the shrine. Don’t forget to get some Takuyaki! Now, this is located on the veeery far end of Kyoto. More or less, it will take you about two hours to get here from Kyoto station, but it is definitely worth the wait. There is a pathway on the side of the road (don’t worry, there are signs) where you can just walk through the forest at your own pace. 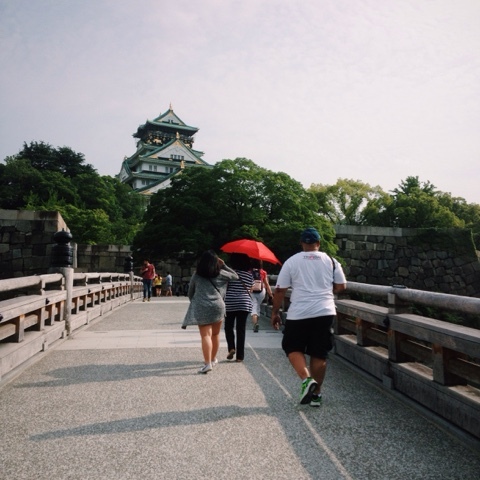 What’s cool about this UNESCO World Heritage Site, which was also a former imperial palace, is that you actually get to tour the inside of the castle where the former emperor used to live and go about his business, barefoot, might I add. Not to mention, you get to pass by a beautiful expansive landscape. Travel tip: Since you’ll be taking off and putting on your shoes in this venue, make sure to wear comfortable, yet easy-to-take-off closed shoes because you’ll be stepping on a lot of stones, and soil when you're here. 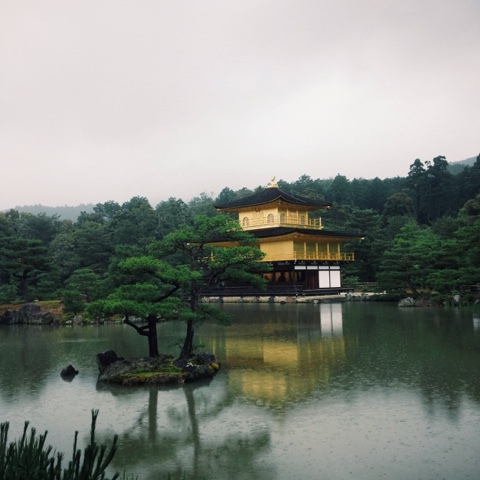 Otherwise known as the ‘Golden Pavilion’; meaning that a pretty big chunk of this famed temple’s exterior is made of actual gold. Not all of it, though. So just like the Kinkakuji Temple, the GINkakuji Temple has a special element (literally) to its structure, only this time, instead of gold, it’s silver. The real star of this scenic spot though, is the sand sculptures, beautifully laid out around the compound. Definitely worth seeing. Also, the pathway you’ll walk through after entering looks like a part of the maze in Harry Potter and the Goblet of Fire movie. Even my sister felt the Cedric Diggory vibes in there. Travel tip: Like everywhere else in Japan, there’s going to be a lot of walking here, but do make sure to wear comfortable and very durable walking/running shoes when you go here. It’s not all just going to be flat roads and pathways, but you will be going up and around a lot of uneven steps. It’s more of a hike than a walk through, really. 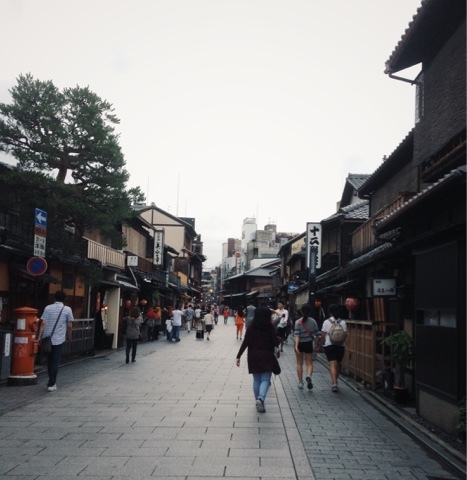 This area in Kyoto is most famous for shopping and the very touristy geisha district. There is one particular alleyway in Gion that looks like a very well-preserved historical Japanese street, where you can see geishas, if you’re lucky. You’ll usually just see the them walking around the area in their kimonos, parasols, and traditional Japanese sandals. Travel tip: If you’re feeling up for a deeper immersion into Japanese culture, you can rent a kimono for the day and walk around/tour Kyoto, just like locals did back in the day. Okay, I know this isn’t really a scenic spot, but this is one restaurant you CANNOT miss going to while in Kyoto. 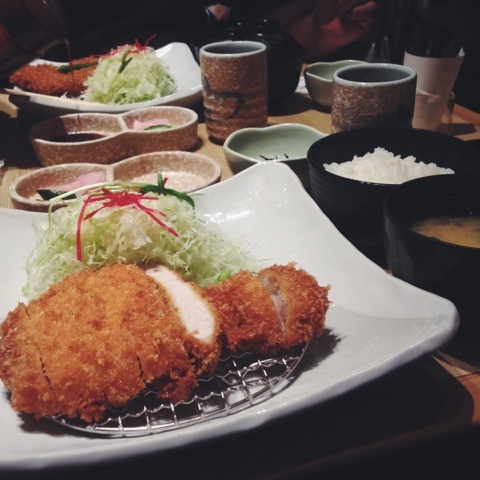 They had the best katsu (deep fried breaded pork) I have ever tasted in my life. Not to mention, you can get unlimited rice, cabbage, and miso soup! What could be better than that? Travel tip: In this particular branch, there is a ramen restaurant right beside it that serves really good ramen, as well. I forgot to take note of the name, but it definitely should be on your food trip bucket list. There is a higher food culture in Kyoto than in Nara and Osaka. Everything is just soooo good! There are plenty of other places where you can go and visit when you’re in Kyoto. 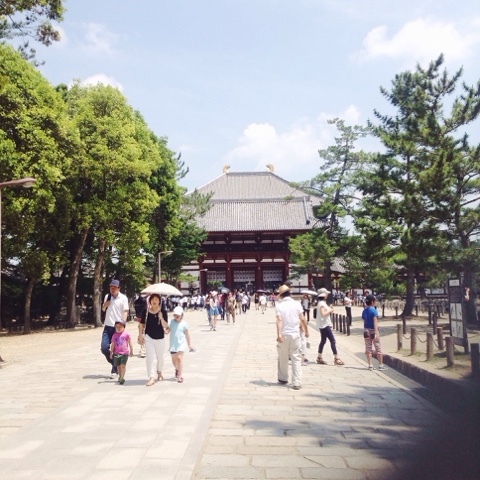 There’s the Imperial Palace, the Kiyomizudera Shrine, The Philosopher’s Path, and so many others. Sadly, my family and I were only able to go to these places, as we were only there in Kyoto for 1 ½ days. Twenty-four hours isn’t enough to go and see it all, so make sure to book at least a three day stay when you go on your trip. I’m not gonna lie, but there was a part of me that was really stressed during this trip. What with the language barrier and getting lost on occasion, plus the exhaustion you feel at the end of the day…It can get really draining. 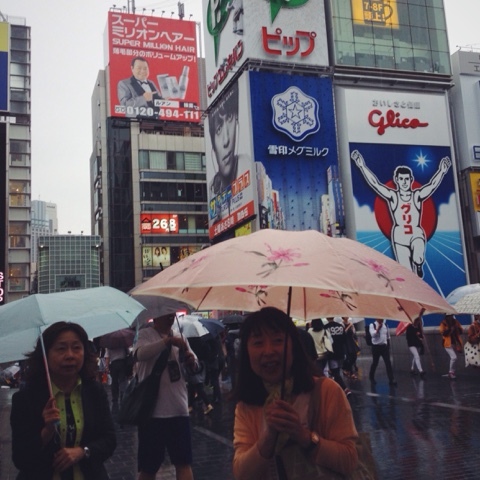 It takes a lot of research, work, and patience to be a tourist in Japan. But, despite all that, I am truly grateful for everything that my family and I experienced when we were there. Sure, it was stressful at times, but to be truly immersed in one’s culture—like commuting to tourist destinations via train, interacting with people like transit personnel, random passers-by, the people who work in the restaurants we ate in, or at our hotel, or even the old lady who helped us on the way to Umeda when she saw that we were lost—it’s amazing how much you can learn about a country and its people and culture, even after just staying for a week. It will probably be a while before we go back, but I am looking forward to learning more from the Japanese and experiencing more of their culture. 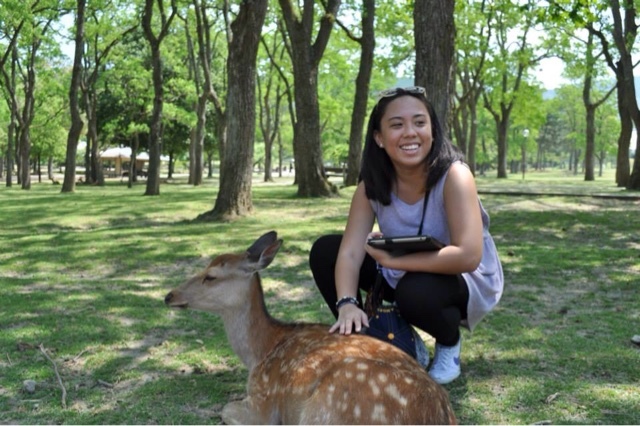 On the second leg of my Japan travel diary, I'm taking you to the quaint town of Nara, located off the southwest of Japan. 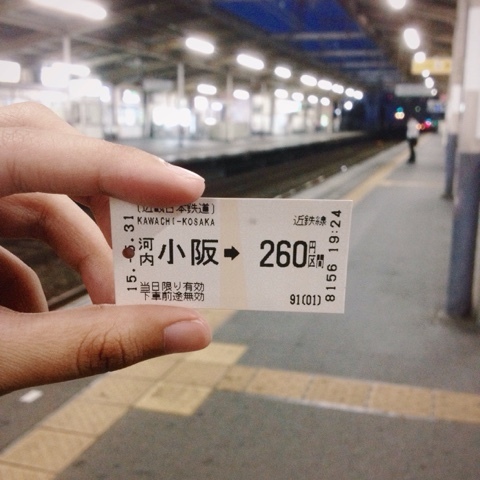 It's about a two-hour train ride from Osaka and a 45 minute train ride from Kyoto. 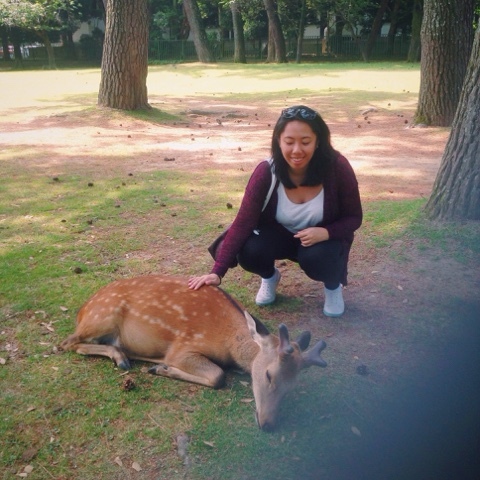 Nara, among all the places we went to, was the one that felt very homey to me. The town proper itself felt very open, as there was a massive park and tons of greenery that surround the buildings. Also, unlike here in Manila, there weren’t any, or at least a lot, of high-rise buildings in the area, which felt very refreshing. It’s not every day you get to see some of Santa’s helpers in their natural habitat. Before you even get to the park, you’ll already see some deer just lounging around the side entrances and even on the sidewalk. My sister trying to not act panicked after some of the deers bit her, looking for food. Travel tip: They do get very aggressive sometimes when they’re hungry, so make sure to keep paper (especially your maps) away, because they will eat it. If you want to feed them, you can buy special biscuits sold all around the park for 150 yen. Brace yourself though, because those deer could and probably will get a little over-excited when they see you holding them out. 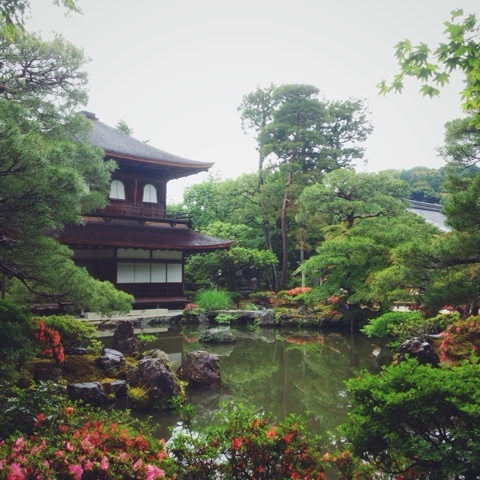 This was the first temple that my family and I saw on our trip and like many other temples in Japan, the journey to the actual temple is just as beautiful; passing by gardens, fountains, and even certain pieces of architecture just splattered around the compound. Travel tip: The temple is just walking distance from the deer park, so no need to get on the bus or anything. Also, if ever you get hungry, there is a row of restaurants located just outside the temple’s compound, where you can have lunch or a snack for really affordable prices. 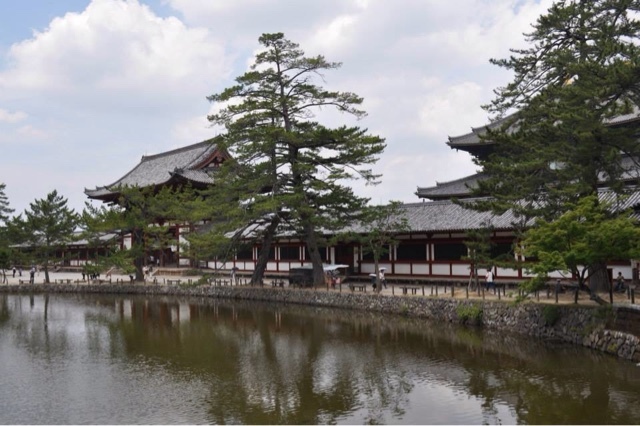 Although there aren't much, there are more places to see around Nara than just these two places. My family and I were unfortunately just under a very tight schedule. If you have the time, make a trip down to the gardens around Nara Deer Park. They are definitely something worth seeing. 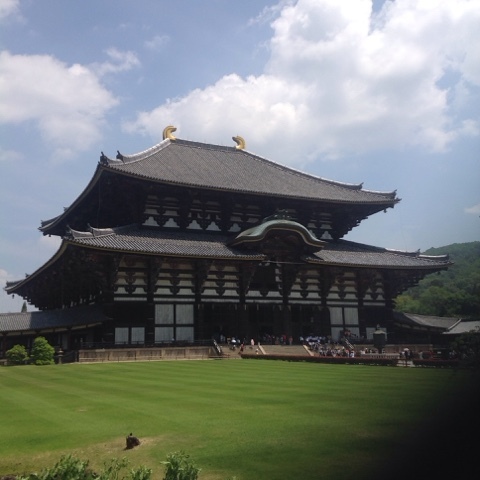 See you again someday, Nara! 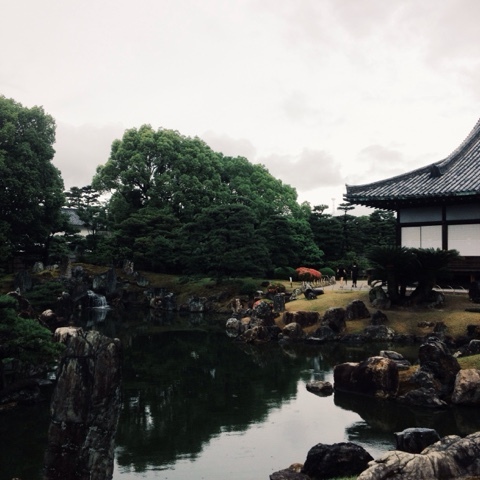 One of the places I’ve always had on my travel bucket list was Japan. As a kid, I’ve always been exposed to hints of Japanese culture, from hello kitty, to anime, cherry blossoms, sushi, and architecture… everything! I just found it all so inviting and intriguing...how every aspect of one culture can be lived like an art form. 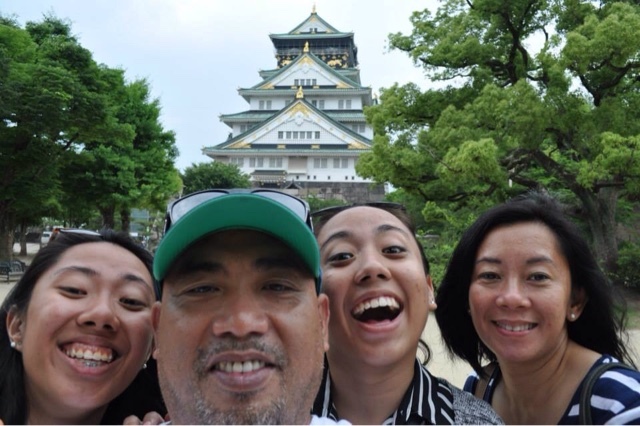 My family and I went on the last week of May to the first week of June this 2015; somewhat off-season because cherry blossom season has just ended. Nonetheless, the country was just as beautiful, as well, as its people. 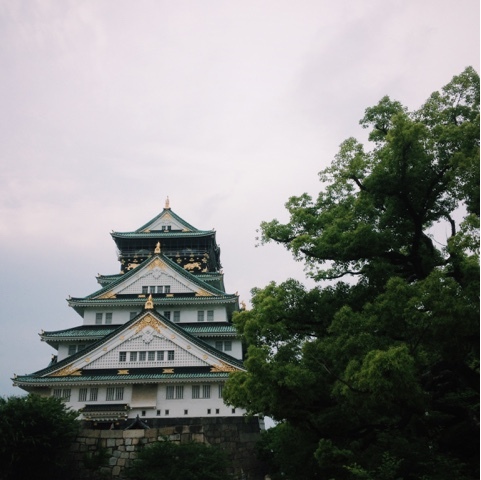 Now, there is a lot of history within Osaka Castle, and I’m not just talking about the castle itself. The compound where it is located is extremely beautiful, as it is surrounded by gardens and very modern yet traditional landscaping and architecture. *Make sure to go and see this place during cherry blossom season. Travel tip: Make sure to wear comfortable shoes because there will be A LOT of walking. In general, when you travel to Japan, make sure to pack and dress for comfort and a little hint of fashion. As my sister said when we arrived (after a reaaaally long walk and multiple wrong turns amidst intense rain, btw), “This is the Japan I’ve been waiting to see!” There is so much happening all around the area; throngs of people passing by, many different shops that you can buy souvenirs from, retail stores, restaurants… You can seriously find anything and possibly everything you wanted to see in Japan here. 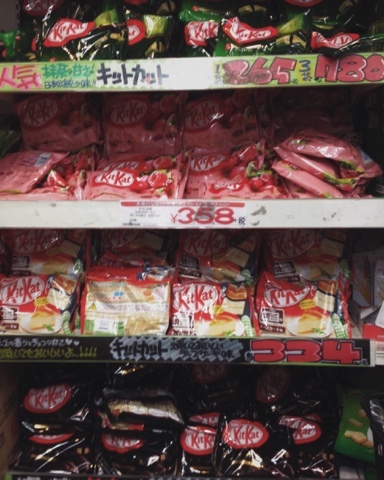 Travel tip: If you’re looking to buy some “exotic” flavoured Kit Kats, you can find them in the store that has a Ferris wheel on top. You’re welcome. 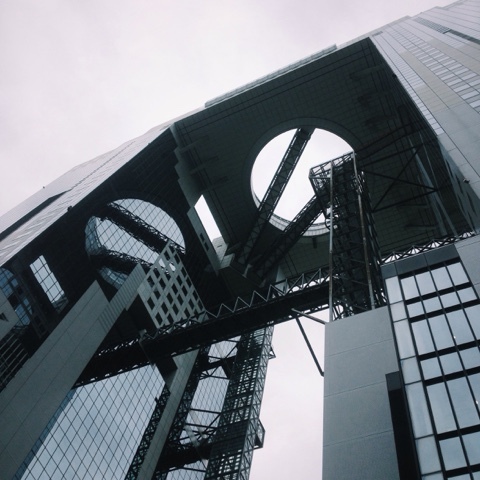 This is Osaka’s central business district, a.k.a. the hub of everything in the city. Not to mention, you have to pass by here to get anywhere in Osaka. 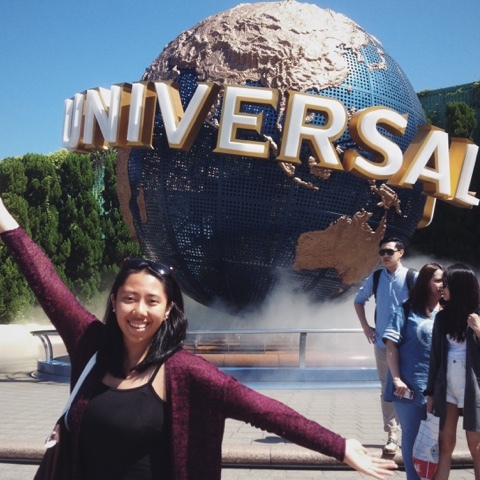 Make sure to pass by Namba Parks! There’re plenty of good restaurants there where you can go grab a bite to eat. Travel tip: If you ever find yourself getting lost, don’t be shy to ask the locals. Although it’ll be somewhat of a struggle because of the language barrier, most Japanese people are very accommodating and will graciously help you out. This building is home to the ‘Floating Garden Observatory’. 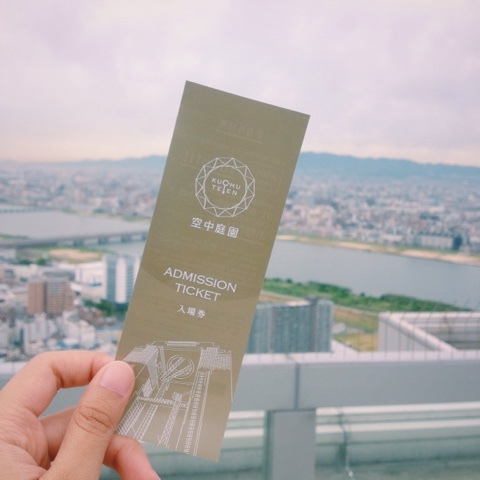 Now, although that sounds really cool, the journey going up to the 77th floor in a glass elevator is actually more impressive than what you’ll see at the top. Nonetheless, this place is worth checking out. To be honest, this was my favorite place to visit the entire trip. Mostly because it was the first time I got to see Harry Potter World. *aaaaaahhhh!! * I literally got teary-eyed the minute I saw the entrance to Hogsmeade. If you miss this place on your trip, 50% of it would be a waste. 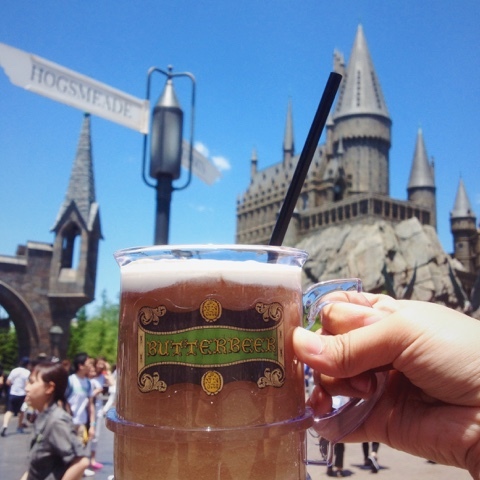 Travel tip: I think it goes without saying that YOU HAVE TO GET A BUTTERBEER. It is just the best…I can’t even describe how happy it made me feel to have the mug in my hand while walking around the park. You can only buy them in stalls or like crate barrel trucks along Hogsmeade for a very reasonable and affordable price. Make sure to fall in line early though, because THEY WILL SELL OUT. 2) I used to be a chubby ballerina. 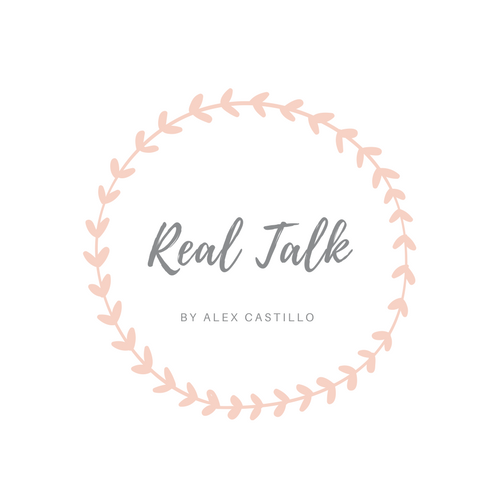 5) I was a cheerleader in high school, but never really competed for anything outside of St. Paul College, Pasig's bounds. 6) Before I graduated college, I had a short story published in the Faculty of Arts & Letters' annual literary portfolio entitled, "Dapitan 2015: Time". It was a flash fiction story called "Kumot". 7) I make horrible jokes, but I am funny--most of the time when I don't mean to. 8) I am a self-proclaimed movie buff/culture buff. 10) In high school, I made a full-length feature film with my friends called, "The Broken Hearts Club" which had a premiere, limited screening dates, sponsors, and official merchandise. 14) Some people may say that I'm bitchy, but I usually see it as channeling the Queen B, herself, Beyonce. 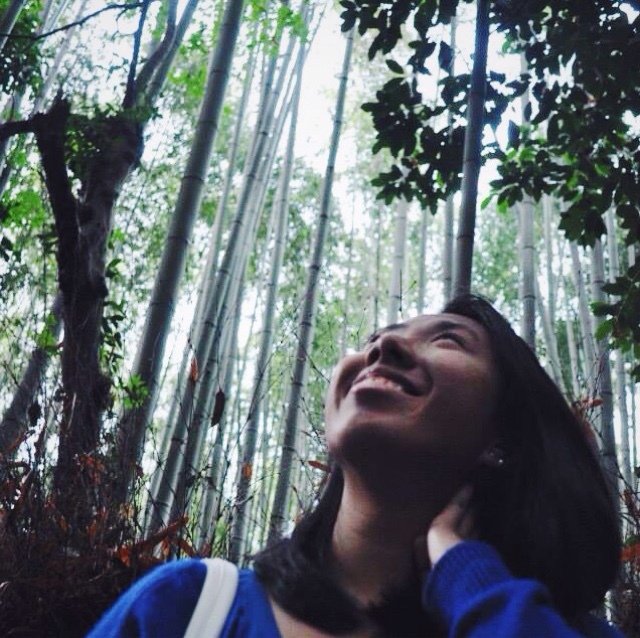 15) I am a proud Filipino. 17) I am, what you may call, a realistic optimist. 18) I kind of am stuck in a case of wunderlust since graduating college. Mind you, it's only been a few months, though. 20) I looove Japanese food. 21) and, I live by the saying that "you've only one life to live. So love what you do" (The Script, It's Not Right For You).